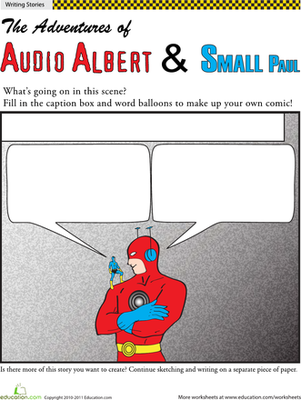 ﻿﻿Up, up and away! 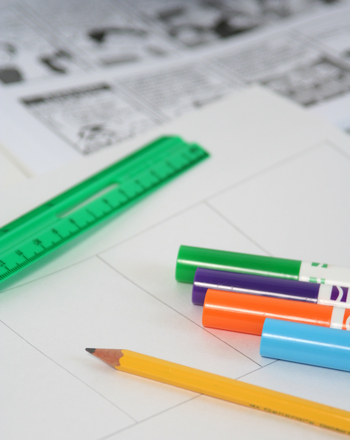 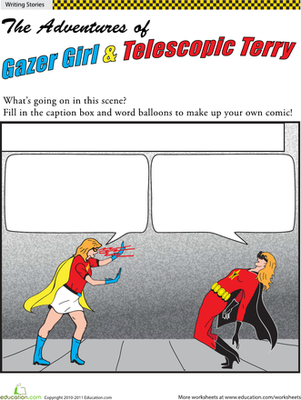 Your comic book enthusiast will have a BLAST with this super comic book paper project. 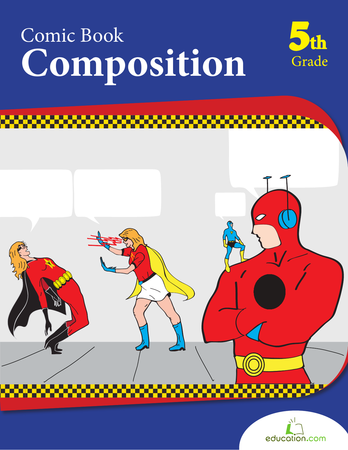 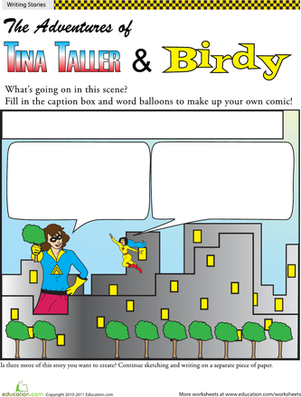 Cut out and color the different parts of a comic strip, then use your imagination and creative writing skills to create your own comic.